If somebody contacts me with a recommendation of where to stay, eat, etc I will add it here. Clearly I cannot vouch for the recommendation persoonally so it is up to individuals to do their own research as to the suitability. If you wish to provide any feedback on your own experience of anywhere listed please let me know. The views of the recommendations are those of the individuals listed next to the entry and I take no responsibility for the accuracy. Ticket to Ride has 2 services of interest to the end to ender. A bike transport / taxi service to help you get your bike to or away from John O’Groats, and a cycle hire service. Cornwall Cycle Hire Check us out at www.porthlevencyclehire.co.uk or contact direct on 01326 562976. ‘ Completing John O’Groats to Lands End? 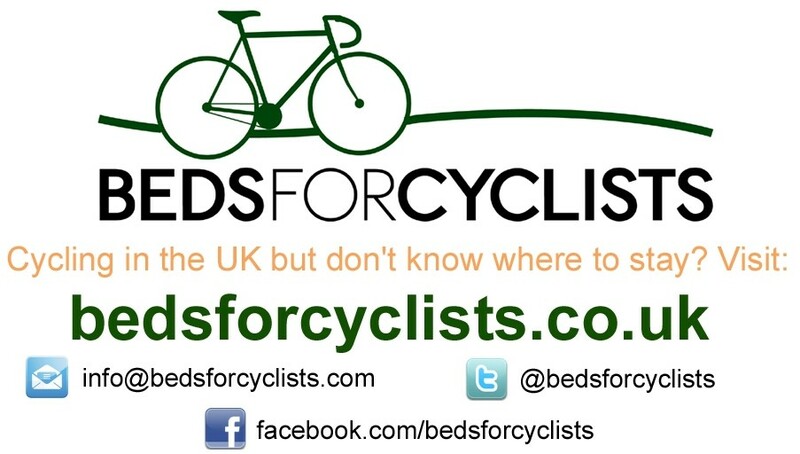 Want your friends and family to ride with you on the last few miles into Lands End? General Various http://piemanpete.com/b/2010/08/27/looking-back/ PiemanPete reflects on his #JOGLE undertaken in the summer 2010, and provides advice and recommendations from his journey. unfortunately!) Read reviews about us on Trip Advisor! From the owner: – I have just been going through our feedback forms for our restaurant – The Crannag Bistro in Bonar Bridge, Sutherland (near the end!) and had rave reviews from a chap called Sean Overend from Plymouth. Sean was doing a lejog trip and staying at the local B&B Kyle House. We do get a lot of cyclists in to the bistro, and they often say that ours is the best food they have had all journey! Would you be kind enough to let everyone know about us please? We are situated in the centre of Bonar Bridge, 7 miles from Carbisdale Castle (but only 3 as the crow flies and if you come via Invershin bridge!) We are a small family run restaurant, 24 covers, fully licensed and serving honest local fare. Cyclists are always good fun and very appreciative! So we are happy to offer lejogs a FREE DRAM from our local distillery, Balblair, after their meal. http://www.twitter.com/joehallspies FREE TEA and CAKE! What cyclist doesn’t like a nice cuppa and a piece of cake, especially when its free. Well the good news is that End-to-enders can get a free cuppa, soup and a Chorley Cake, courtesy of Joe Hall Pies. Joe (an End-to-Ender himself) has 2 shops on the Chester – Slaidburn part of the End-to-End on the Eaves Lane in Chorley, Lanc’s (B6628). Joe will be setting up a voucher scheme on his website, but in the meantime pop in and mention the offer. Joe promises a wrong welcome so go on, pay them a visit, support their business and mention my site when you do. Thanks Joe.